Description: Elysia is created in a laboratory, born as a sixteen-year-old girl, an empty vessel with no life experience to draw from. 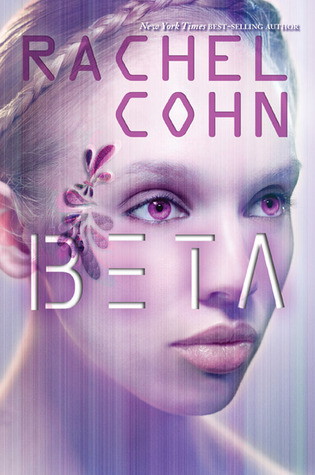 She is a Beta, an experimental model of a teenage clone. She was replicated from another teenage girl, who had to die in order for Elysia to exist. Mini Book Review: I was intrigued by this book and loved most of it. However the last 1/4 of the book felt rushed, and just made no sense. I don't want to spoil anything but a surprise plot twist just didn't work for me as it was out of character. It reminded me at times of Blade Runner in its treatments of the Clones and their rights (Also mentioned as replicants - hence the connection) which I found truly fascinating. To me it was a fabulous premise that was poorly executed at times. I really wanted to love this more as the premise is one that truly intrigues me, but I just felt at times that the author had a fabulous idea and was pressured by the publisher to execute it. That being said it was good enough for me to pick up the next copy in the series. Working at a bookstore with a minor knowledge in publishing I understand the plethora of trilogies but I truly am getting sick of them -- give me more standalone novels. I'm getting sick of the trilogies as well. I'd rather have duologies or stand a lones! That being said I thought this novel provided some really interesting social commentary but I see what you mean about the ending feeling rushed. Exactly - there are way too many. I agree about the social commentary as well - forgot to mention that but I was totally rushing the review as I am so very behind. I agree, I want more standalones, I feel like stories are getting dragged out too much when they don't need to be. I really enjoyed this book and loved the premise. But I do agree that the ending did seem to come out of nowhere and not make sense in the larger scheme of things. I think it was added in so that there would be a continuation. I will definitely pick up the next book because it has me interested. Glad you enjoyed it Andrea. What you say makes total sense. I felt the Matched trilogy would have worked better as two books instead of three. I didn't love it but it did at least grab my interest enough to want the next book when it comes out.